Craig Heron teaches in the Division of Social Science, York University, and is the author of Working in Steel: The Early Years in Canada, 1883-1935 (Toronto: McClelland and Stewart, 1988). Heron, Craig. 1995. “The High School and the Household Economy in Working-Class Hamilton, 1890-1940”. 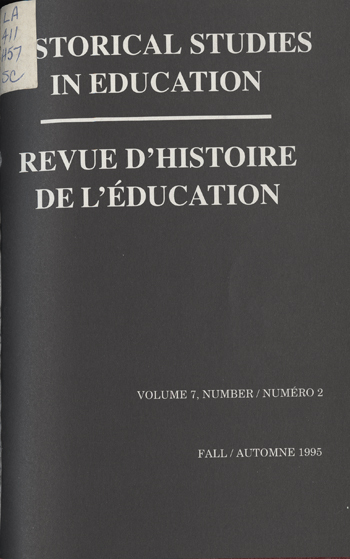 Historical Studies in Education / Revue D’histoire De L’éducation 7 (2), 217-59. https://historicalstudiesineducation.ca/index.php/edu_hse-rhe/article/view/1399.